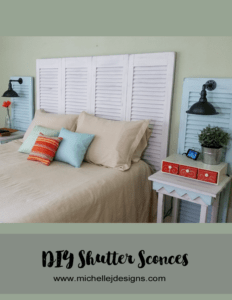 DIY Shutter Art for Your Home Decor! Hi! Welcome to my newest project. 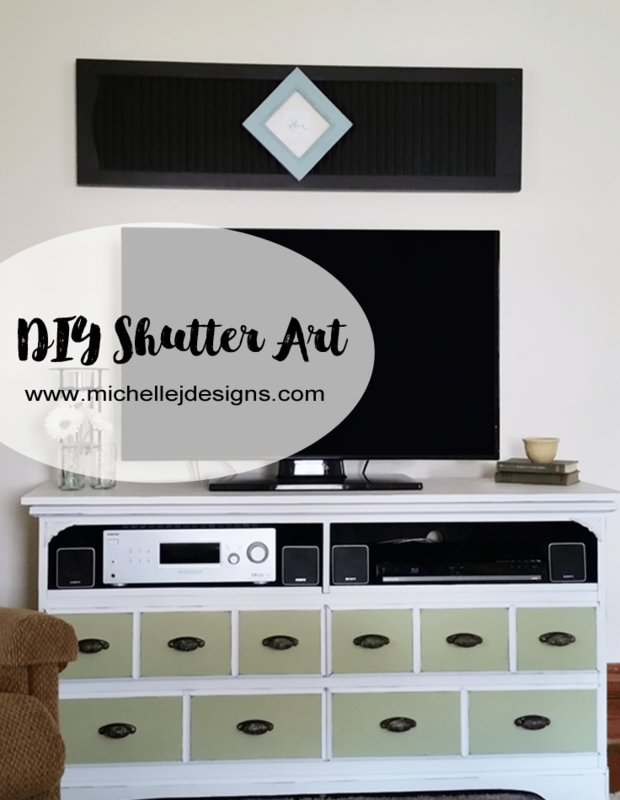 This is my DIY shutter art! I like to have art on my walls but cannot afford expensive pieces. This is my way of creating unique pieces that I love for my home. This post contains some affiliate links for your convenience. This means that if you click on a link and make a purchase I will receive a small commission at no extra charge to you. You can read my full disclosure here. As I was painting and fixing up my new TV Stand I was looking at the wall where this was going to be and I just knew I needed to change out my art piece. 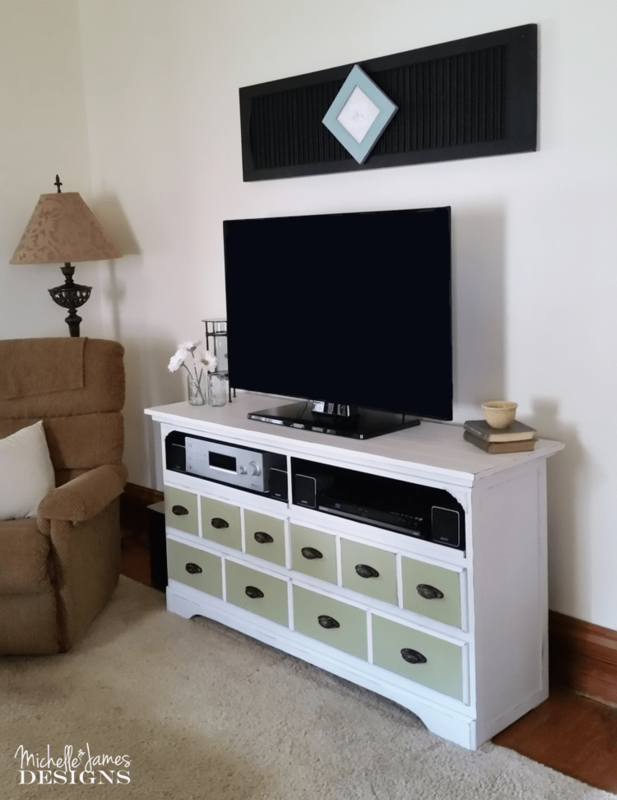 I had originally wanted to create a movie theme in our tv/living room but it just wasn’t fitting anymore. 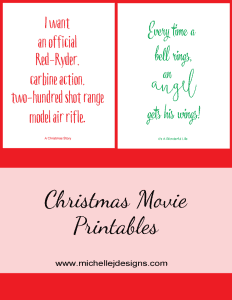 We love movies and I could quote them and create fun printables like these that are in our kitchen all day long. But to have an entire decorating theme just wasn’t in the cards anymore. 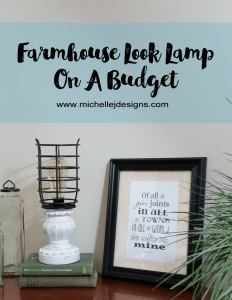 I, like so many others, have become very fond of the “Fixer Upper” farmhouse look and I find myself searching for that kind of a feel when I visit thrift stores. I had seen some shutters at our local thrift store, Second Hand Thrift, so I went in there to see if they were still there. 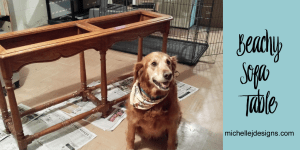 They were….AND it was my favorite day…buy one get one free day!!! Gotta love that. I scored 2 shutters for $5. I was happy! 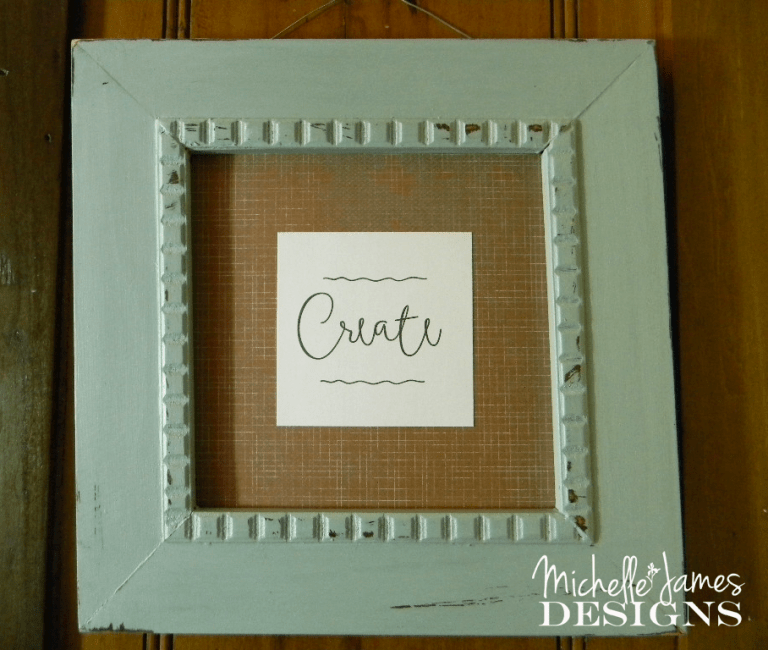 I knew then I could create my own DIY shutter art. These shutters are not real wood shutters. They are a funny plastic and they don’t open and close but they were perfect for art piece I wanted to create. I did not paint the shutter. It was black and that is exactly how I wanted it to be. I just needed to get it on the wall..
We have lath and plaster in our old house and this DIY shutter art was pretty heavy. So I purchased some command hooks for the job. The hooks I needed for the weight of the shutter were huge and they were going to show. I am always creating extra work for Jeff but this time it was his idea. He added three wood blocks to the back of the shutter. They were placed along the top edge. Two of them were in the corners and the third was in the center. They had a beveled edge at the bottom so they could hang on the command hooks instead of hanging the shutter by the top edge. The blocks allowed the hooks to be lower so the tops of the hooks wouldn’t show. It was brilliant. I wanted something to hang over the shutter and my first thought was a wreath. I do have one but Jeff really hates it and since he sits in this room too I thought I had better find something else. 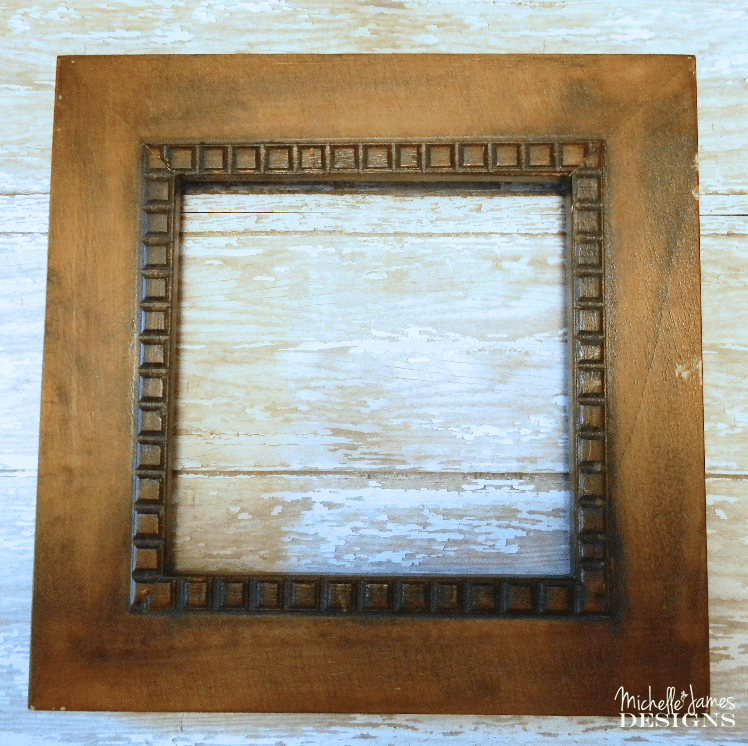 I had remembered seeing a frame at the thrift store that perfectly matched three frames I got last spring at a garage sale that I used for my printable wall art! This is a picture of one of the frames I painted last summer. 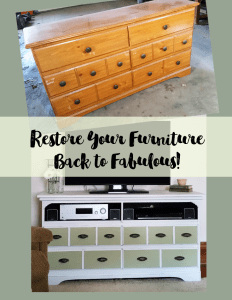 I used the same chalk paint from Americana Decor. It is called Vintage. I just love this color. It doesn’t look the same with the lighting in the rooms but it really is. I printed a different word for this one. I used “relax”. The other frames say Imagine, Create and Inspire. I cut it to size 3×3 and mounted it to some scrapbook paper. 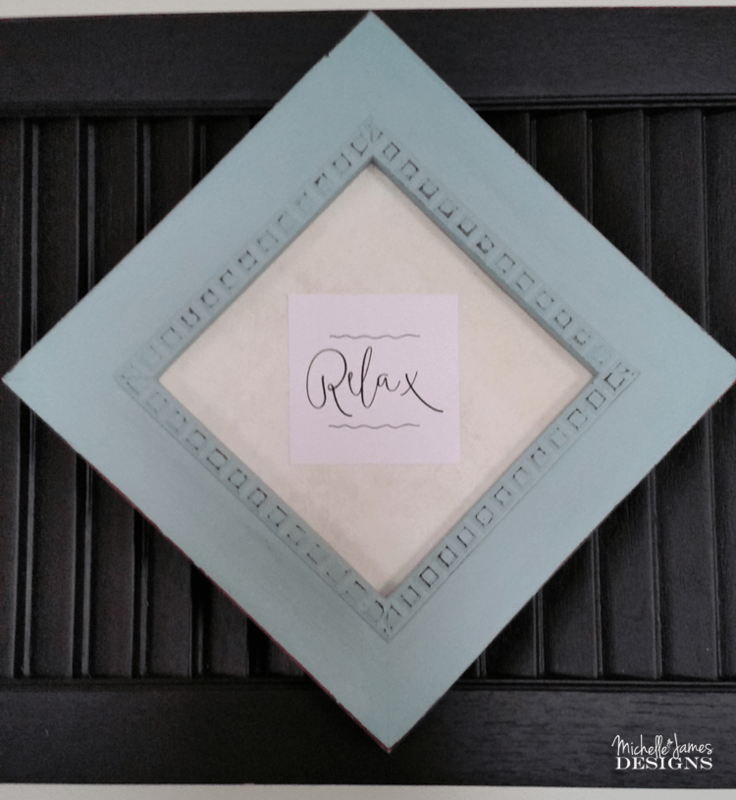 Then placed it in the frame. Then we hung the printable art onto the shutter right in the middle. It looks amazing! The whole thing was $6. I really like it a lot. So, If you like printables. 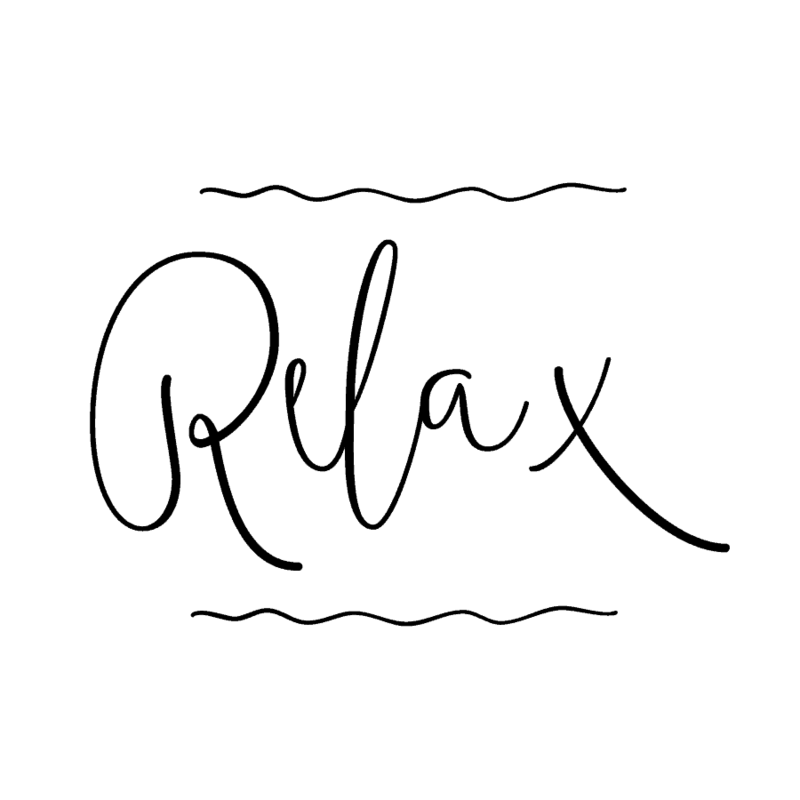 You can download the “relax” printable here. 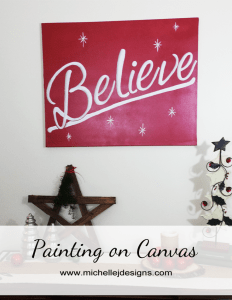 The imagine, create, inspire printable can be found here and the one of my kitchen movie printables, my favorite one can be found here! Enjoy! If you need guidance on how to download the printables you can find that here. Perfect piece for above the TV. You got such a great bargain for $5 dollars .. and it looks like a million bux! Great job on this one Michelle. Oh and thank you for the fun printables. Glad you like the printables Heather. They are fun to create and give away! I am loving the shutter art and Jeff even likes it too. Thanks for stopping by! I’m really loving all your creations, Michelle, even if I don’t always comment. Keep up the good work! Thank you Nancy! That is super sweet!